Matt was not as far along in his journey as I was and he was intrigued with what I was doing and how I found my success. I remember the first time we met outside of the support group, it was at a Starbucks and was scheduled to be a quick meeting. I think we chatted about life for over two hours. It was then that I invited him to attend FNS with me for a workout. Matt took me up on my offer and attended FNS for his first workout on April 30th of this year, which happened to be an 80’s themed workout. We had a blast and I remember him going through the entire class struggling a bit and working through what he could. He checked his ego at the door and worked hard for the full hour! Time progressed and Matt continued to workout at FNS. During this time our friendship grew stronger and stronger and Matt and I have become great friends. Watching Matt progress is nothing short of inspiring, its like I get to live my journey all over again and be apart of those break through moments that he gets to experience for the first time. Matt started at FNS somewhat shy and timid and over the course of the past few months he has progressed and with those progressions has come a new Matt, one who talks a lot more and is not that timid and shy guy who walked through those doors in April. He is gained confidence in the gym and many other aspects in life. Matt and I front and center for his first FNS workout. Going through such a large life transformation brings on a lot of new emotions, at times it becomes overwhelming and Matt and I have been able to share and work through those moments. We simply understand, because we have walked in each other’s shoes. When you lose a large amount of weight in a short period of time the mental battle of finding who you are is far from easy. I used to handle my tough times in life with food and when life got tough, I would find myself buried elbows deep in $25 worth of McDonalds or Jack in the Box. Through many of the text messages and phone conversations that Matt and I have shared, he too would do similar things. We now have to find alternative ways to handle life’s difficult moments. We rely on each other to some extent and work hard to stay dedicated to the process. Matt is still on his quest to reach his goal weight but is doing an impeccable job. Matt started his journey at 434pounds and today is weighing in at 288 pounds. That’s 146 pounds or for the sake of this blog, 2336 ounces he has shed! Congrats my brother!!!! I know you say that you are inspired by my journey and that you are copying what I have done…. Trust me man, it’s you and guys like you that keep me going! Your dedication to this process is on point, your heart is huge and you have become such an amazing friend to both my wife and I. I love you like a brother and am so proud of you for all you have accomplished. Never ever downplay what you have accomplished and don’t forget to dream beyond big! This next year we have some big plans, your first Triathlon will be nothing short of epic and I plan to train with you and be by your side through the whole thing. Wildflower or BUST my brother!!!!! As you continue to shed ounces and work to establish that new you, you will always find a friend in me! Thank you for being a great friend with an amazing heart of gold. Matt and I in the gym tonight – FNS Strong! 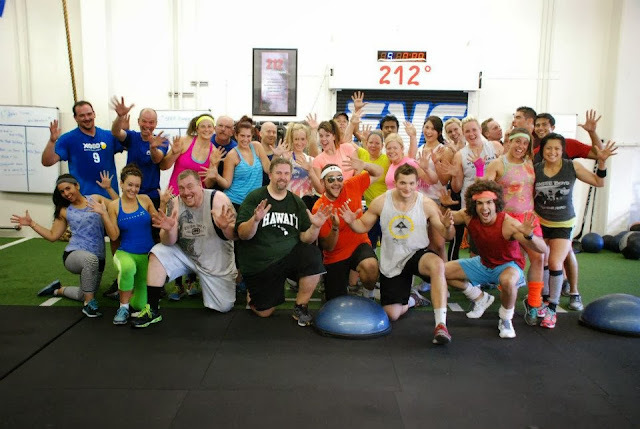 Until Next Time – FNS Athlete, simply training for LIFE!